Several different procedures and technologies are employed by cosmetic surgeons to produce the effect of an upper face lift, brow lift, or forehead lift. The most dramatic option is traditional plastic surgery, in which the excess skin is trimmed and the small pockets of fat in the upper face are eliminated. Other procedures which may produce the same effect without the invasiveness of surgery are thread lift, contour thread lift, featherlift, endoscopic forehead lift, Thermage, or Titan. Stephen T. Greenberg, MD is a nationally renowned Cosmetic Plastic Surgeon based in Manhattan and Woodbury, Long Island, New York. Dr. Greenberg is well-known for his expertise in the field of cosmetic plastic surgery and is frequently interviewed for his knowledge on the latest cosmetic surgery techniques. He has appeared on CBS, Fox News, NBC and News12 Long Island. He has also appeared in national magazines such as Harper�s Bazaar, Cosmopolitan, More, and Elle, as well as in The New York Times and Newsday. 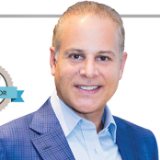 Dr. Greenberg hosts the only New York Cosmetic Surgery Radio Show every Saturday evening on 98.5 FM (KJOY) and he is often a featured speaker for women's groups, spas, health and skin care institutes. Dr. Greenberg received his college and medical degrees with highest distinction from George Washington University. He then completed his surgical training at the prestigious New York Hospital-Cornell University Medical Center. He further trained in Plastic and Reconstructive surgery at the Hospital of the University of Pennsylvania. He is board certified by both the American Board of Plastic Surgery and the American Board of Surgery. Dr. Greenberg is an active member of the American Society of Plastic Surgeons (ASPS). He is also an active member of the New York Regional Society of Plastic Surgeons, The Nassau County Medical Society, and the American Medical Association. Dr. Stephen Greenberg is the Medical Director of New York's Premier Center for Plastic Surgery. He oversees two of the most advanced cosmetic surgical centers in the country and has locations in Manhattan and Woodbury, Long Island, New York. Dr. Greenberg offers you an aesthetically pleasing, comfortable and upscale environment for your cosmetic plastic surgery procedure. You will receive the highest quality of care throughout your experience. Dr. Greenberg is a generous supporter of many not-for-profit institutions. He has conducted numerous events/seminars that have helped raise money for The Make-A-Wish Foundation of Metro NY, The Carol M. Baldwin Breast Cancer Research Foundation, Dress for Success of Nassau County and others. He was elected Plastic Surgeon of the year at the 2004 Miracle Maker's Ball, and is being honored for his philanthropic efforts by Dress for Success in 2006. It doesn't take a million bucks or a Park Avenue address to get the kind of fabulous looks that great cosmetic surgery can offer. A Little Nip, A Little Tuck is the beauty bible for the discriminating woman or man who will not settle for less than the best, when it comes to image enhancement. With a finger on the pulse of the hottest technologies and procedures, one of the nation's leading plastic surgeons, radio talk show host and now author, Dr. Stephen T. Greenberg empowers you with the knowledge it takes to go from blah to babe. His humor and great anecdotes will have readers smiling as he dispels the myths surrounding cosmetic surgery, and gives you his best honest advice in a refreshing shoot-from-the-hip style.